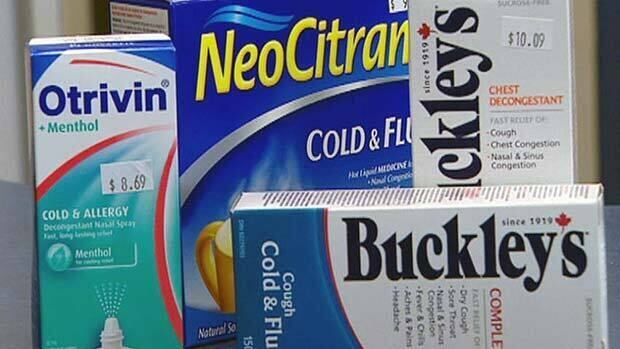 People sick with a runny nose, sore throat and cough from the common cold will try myriad remedies, but only a few have proved to get results, a Canadian doctor says. Colds are common, affecting adults about two to three times a year and children under age two about six times a year. Dr. Michael Allan, of the department of family medicine at the University of Alberta in Edmonton, reviewed and summarized the sometimes conflicting research on treatment and prevention of colds in Monday’s issue of the Canadian Medical Association Journal. “For treatment of common cold, what you’d be looking at are things like fever and pain control, so acetaminophen or ibuprofen, again kids are a little bit better with ibuprofen for fever,” Allan said in an interview. For children, Allan suggests honey at bedtime for those troubled with cough. Honey should not be given to infants because of the risk of botulism. Over-the-counter cough remedies and combination products are clearly associated with bad events in children under the age of six, he cautioned. For prevention at all ages, the review suggests that frequent washing of hands as well as alcohol disinfectants and gloves for health-care workers can be effective. Trying chicken soup, non-traditional remedies? Zinc may work to prevent colds in children and possibly adults, based on the findings of two randomized trials that pointed to lower rates of colds and fewer absences from school. There’s also some evidence that zinc lozenges may shorten the duration of a cold, although Allan noted many people complain about the bad taste and zinc can cause nausea. Antihistamines combined with decongestants or pain medications like acetaminophen and ibuprofen appear to be somewhat or moderately effective in treating colds in children over the age of five and adults. For non-traditional treatments, the role of ginseng in preventing colds is questionable, Allan and co-author Dr. Bruce Arroll of the University of Auckland in New Zealand concluded. Results were so inconsistent or small effects for other non-traditional treatments, such as vitamin C, that Allan says it “just not worth it.” He also recommended against Chinese remedies, which were “batting one out of 17” in the studies on benefits with no information on potential side-effects. Warm soup falls into that category. It’s warm and gentle on the throat, but improbable that a can of soup will help you get rid of a cold any sooner, Allan said. Some commuters in Toronto pointed to herbal teas as a soothing option. “I swear by ginger. Freshly grated ginger tea in the morning sets me right for the whole day,” said Prati Vaidya. “The other is a warm glass of milk with tumeric and a little bit of jaggery,” [sugar]. No matter how many cold and flu seasons you’ve weathered in your years, chances are you’re still buying into some far-too-common illness myths. So before you waste another perfectly good sick day lying around in bed (instead of out playing hooky), we ran some of the most popular pieces of cold and flu wisdom past New York City physician Jennifer Collins, M.D., a diplomat of the American Board of Allergy and Immunology and Internal Medicine. Here’s how they held up. Skip the gym and you’ll actually stay sick longer. “Light to moderate exercise when you’re sick can actually boost your immune system’s function,” Collins says. She recommends reducing your workout intensity by 75 to 80 percent to prevent overstressing your body. Also, make sure you wipe down your gym equipment—and your hands—both before and after use. One study in the Clinical Journal of Sports Medicine found the cold virus (a.k.a. rhinovirus) on 63 percent of fitness centers’ machines. No wonder you still want your mom when you’re sick. Her chicken soup really does make you feel better. Research published in Chest found that chicken soup reduces the movement of certain white blood cells in the body to reduce cold symptoms. What’s more, typical chicken-soup ingredients like carrots, parsnips, celery, garlic, and onions are packed with vitamins A and D, calcium, magnesium, phosphorus, and potassium to help your immune system work at its best, Collins says. Record lows don’t cause colds—viruses do. Rhinovirus just happens to be more prevalent in the U.S. during the winter, largely due to migration patterns from other countries. In fact, the biggest contributor to cold-weather colds is found in the warm indoors where people (and their germs) are confined together, she says. You could make like a bear and hibernate—or you can just be extra-generous with the Windex this season. A stuffy nose can turn you into a veritable mouth-breather. The result: a dry, itchy throat. While fluids are key to quelling the irritation, and milk is thick enough to coat your throat, that’ll only make it feel even more constrained, Collins says. That doesn’t mean you have to avoid it, though. Contrary to popular opinion, dairy is not a phlegm factory. Just take your milk, cheese, or yogurt with water or juice, she says. If you have a cold or sore throat, you might want to opt for the acetaminophen over the ibuprofen for symptom relief, a new study suggests. Research published in the British Medical Journal shows that taking ibuprofen (commonly known by the brand name Advil) doesn’t seem to relieve symptoms of upper respiratory tract infections as well as acetaminophen (commonly known by the brand name Tylenol). 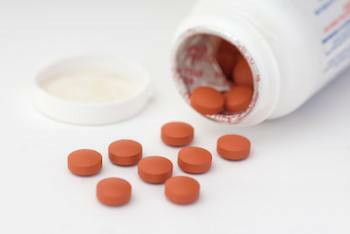 Taking ibuprofen along with acetaminophen also didn’t provide as many symptomatic benefits as taking acetaminophen alone, the University of Southampton researchers found. Interestingly, people who took ibuprofen or ibuprofen with acetaminophen were more likely to come back to the doctor with new or worse symptoms, than those who took acetaminophen alone. The findings are based on data from 899 patients who had symptoms of a respiratory tract infection. They were prescribed either acetaminophen, ibuprofen, or both ibuprofen and acetaminophen, and were instructed to take it either as needed, or four times a day. Some patients were also told to try steam inhalation to relieve symptoms. Researchers also found that steam inhalation didn’t seem to provide any symptomatic benefits — and in fact led to mild scalding among 2 percent of people observed in the study who used this method.